In 2011, I represented Michael Steele — a 52-year-old African American man who was schizophrenic and suffered from a long-term drug addiction. Police believed they observed Steele selling drugs to another man in the city’s Tenderloin district; however, upon conducting a search of this other man, they found nothing. What they did find was less than a gram of heroin on Steele. As a result, he was arrested, charged, and convicted of a drug sale and possession-for-sale. Ultimately, he was sentenced to 14 years — because of sentencing enhancements for three prior drug-related convictions, nine years were added on to his five-year sentence. 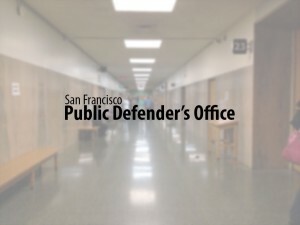 Having worked as a public defender in San Francisco since 2005, I know Steele’s case is not an anomaly. In fact, it is yet another reminder that the War on Drugs rages on in California. However, the state could change course by passing Senate Bill 966, the Repeal Ineffective Sentencing Enhancements (Rise) Act authored by Sen. Holly Mitchell, D-Los Angeles. The bill would put an end to some of the unjust and extreme sentences that have resulted in persons suffering from substance use being sentenced to over 10 years. Right now, someone convicted for drug sale, possession for sale, or similar offenses can face an additional three years in prison for each prior conviction for similar drug offenses. I have witnessed how this enhancement has become a relentless assault on the mentally ill, the drug addicted, and the impoverished African American community. As a city with a proud tradition of progressive views and treatment for those in need, I refuse to believe that compassion, justice and mercy are absent — yet I have seen our society’s obsession with being “tough on crime.” The judge who sentenced Steele explained that the system’s sentencing scheme was designed for accountability and also to punish, to send a message to the defendant and others. That message was clear: America’s war on drugs was alive and well in San Francisco. This approach has proved ineffective: Throughout the US, no matter how “tough” the sentencing scheme, drugs are cheaper, stronger and more widely available than ever. The body’s reaction when taking https://roids.co/buy-legal-anabolic-steroids-online/order-winstrol-pills/ is to produce less estrogen than with other compounds. The gains you will see are supposed to be dry, which means you will have minimal water retention or fat gain. The Rise Act recently fell short of passing the Senate by three votes, but our lawmakers have a second chance to support racial justice and stop wasting taxpayers’ money on a cruel and failed policy when the bill is brought back to the floor this month. We must show compassion for those suffering from substance use problems by asking our representatives to support SB966, and take a step toward ending the War on Drugs.